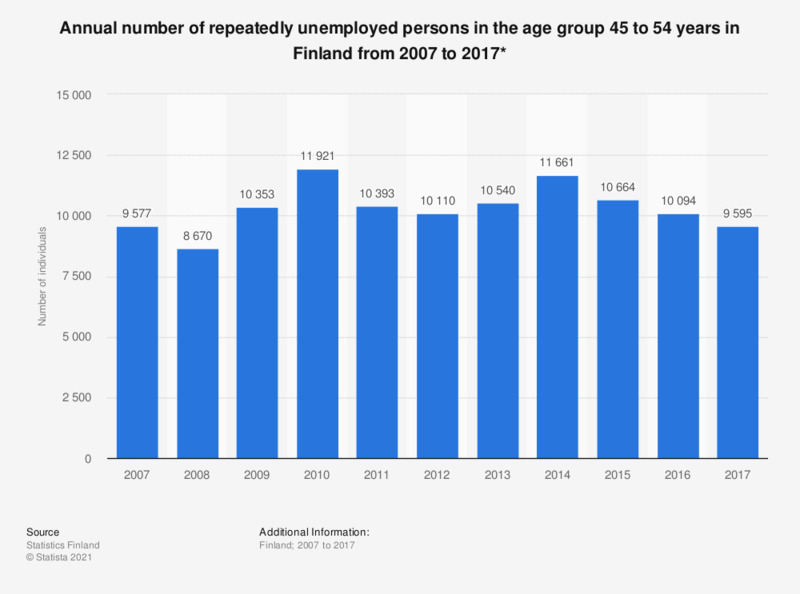 This statistic shows the number of repeatedly unemployed persons in the age group 45 to 54 years in Finland from 2007 to 2017. During the given time period the number of repeatedly unemployed in this age group fluctuated. In 2017, approximately 9.6 thousand job seekers were considered to be repeatedly unemployed.